Earn 64 loyalty points, worth £3.20, with this purchase. Complete protection for your horse during the summer, the Bug Stoppa fly rug provides a hardwearing barrier to unwanted irritants including biting insects, dust, dirt and harsh sun. A soft hood extends over the ears to protect the top of the head whilst the adjustable belly and large tail flap keeps the body covered. 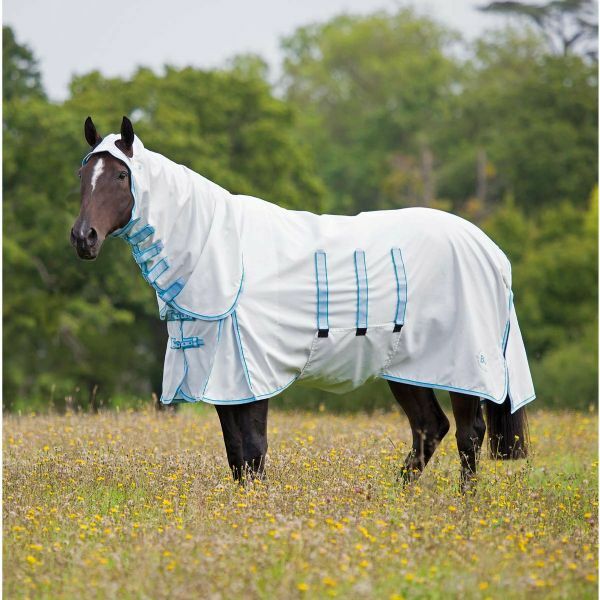 The breathable fabric, silky chest lining and leg gussets keep the horse comfortable. Team with Bridleway’s Fly Mask for extra protection for your horse or pony. Size : 5' 6" - 7' 0"